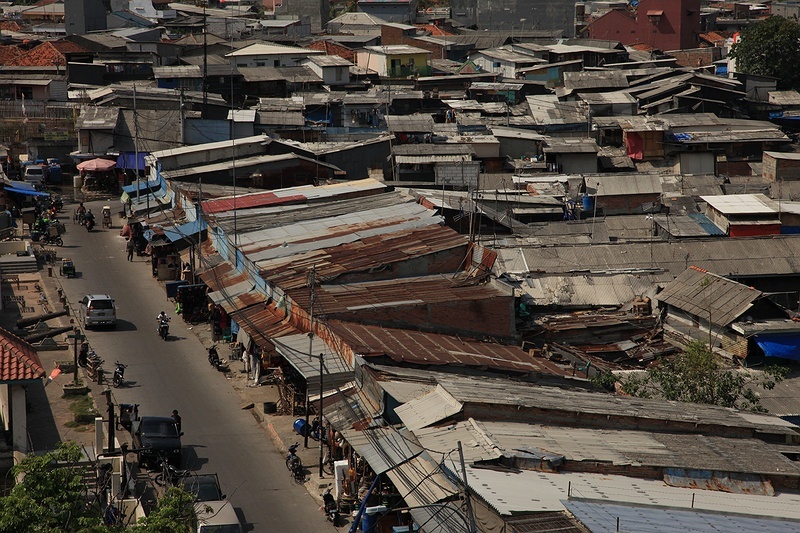 One of the poorest places of Jakarta are the slum areas by the sea. These areas will be first and most severely affected by sea level rise. As the ground water level drops the vacuum is squashed down by the weight of the city. As the sea level rises and the city sinks, it is these migrant communities that will be vulnerable to problems magnified by climate change.